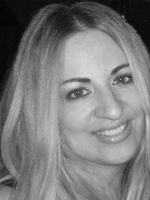 Nora Ulpiano has been working at MTI's corporate facility for over 15 years. As Senior Account Specialist, she is responsible for all Accounts Receivable, Purchase Orders, Invoicing and Revenue Sharing reports. Prior to MTI, Nora worked at Humana Medical, specializing in Accounting and handling legal materials for health insurance malpractice suits, along with Investigative and Administrative issues, while working closely with Law Offices, Govenmental Agencies such as HCFA, Risk Management and Quality Assurance. Nora enjoys being part of the entertainment business as it directly links her passion of movies, music, social life and event planning.